Pema County of Golog Prefecture. (TibetanReview.net, Jan22’16) – Chinese authorities in Pema (Chinese: Banma) County of Golog (Guoluo) Prefecture, Qinghai Province, have effectively banned local Tibetans from holding workshops to improve their knowledge and skill in the use of their own language by suggesting that such gatherings will amount to illegal association. Besides, holding of private Tibetan language classes in many of the county’s townships has been driven underground because of official disapproval of and crackdown on such voluntary efforts, reported Radio Free Asia (Washington) Jan 20. Because Tibetan has been reduced to being taught only as a language subject in an otherwise thoroughly sinicized education system, Tibetans have been holding language workshops and organizing classes during annual vacations and non-school hours in efforts to preserve their linguistic heritage. But China has been cracking down on such efforts over the past several years, closing down classes and punishing their organizers and teachers. “In the restrictive climate this year, many of our annual Tibetan language workshops could not be held, and in some townships the Tibetan language studies programs are running in secret,” the report quoted a local source as saying, speaking on condition of anonymity. The report said that over the past seven years, the Save the Language Association—a voluntary initiative among local Tibetans—had organized a month-long intensive Tibetan language studies programme for students of all ages during the winter vacation in area schools. But recent public statements by Chinese officials have suggested that such study groups could be deemed “illegal associations” if found out, leading to fears of detention or arrest, the report cited the source as saying. The report said the language crackdown was part of an overall repression on Tibetans which included a ban on pictures of Tibet’s exiled spiritual leader, the Dalai Lama, and restrictions on holding of public prayer services by monasteries. 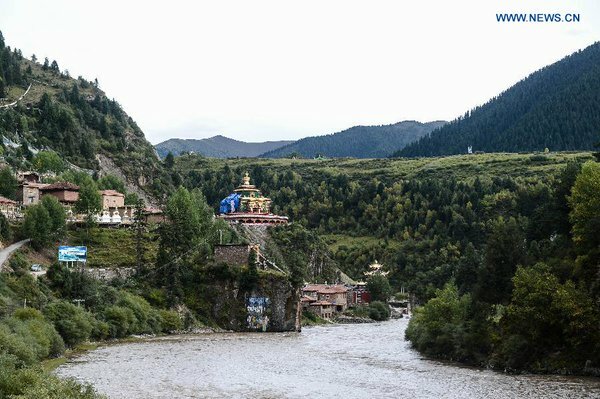 The report noted that two years ago Chinese authorities in Pema County had coerced area monasteries and residents to pledge loyalty to the Chinese Communist Party and begun imposing strict controls on the registration of monks and on information flows out of the region. China’s efforts to force Tibetans to adopt Chinese cultural and national identity at the expense of their core traditional values has led to numerous, often large-scale, protests in many historical Tibetan areas that have today become different parts of the People’s Republic of China.